Last weekend we headed south to Oslo to help our daughter and her boyfriend to move to a larger apartment. My mom came along to help out, and we had a fun and busy weekend with multiple trips to IKEA.... Some assembly required- but lots of fun! Kristine and her boyfriend are both Geology students, and we did some heavy lifting as quite a few boxes contained lots of rocks 😅 They are both working on their masters degree now, and Kristine will be finished in June. 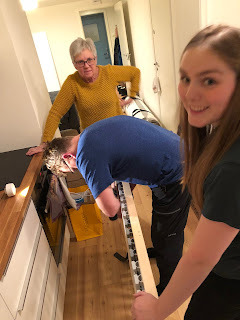 Just the home stretch left now, and she will be finished with her degree at the age of 24. We are really proud of her! 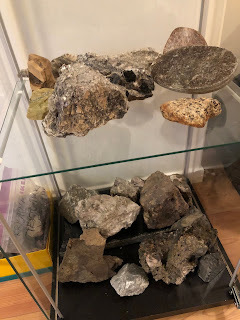 They collect different minerals, and have some pretty cool looking rocks, I should have taken some close ups of them- but didn't think of it at the time we were there. 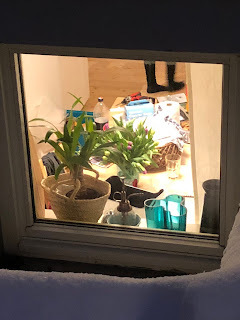 The view through their kitchen window as we left on Sunday- still some unpacking to do, but all in all we did get most of it done during the weekend. 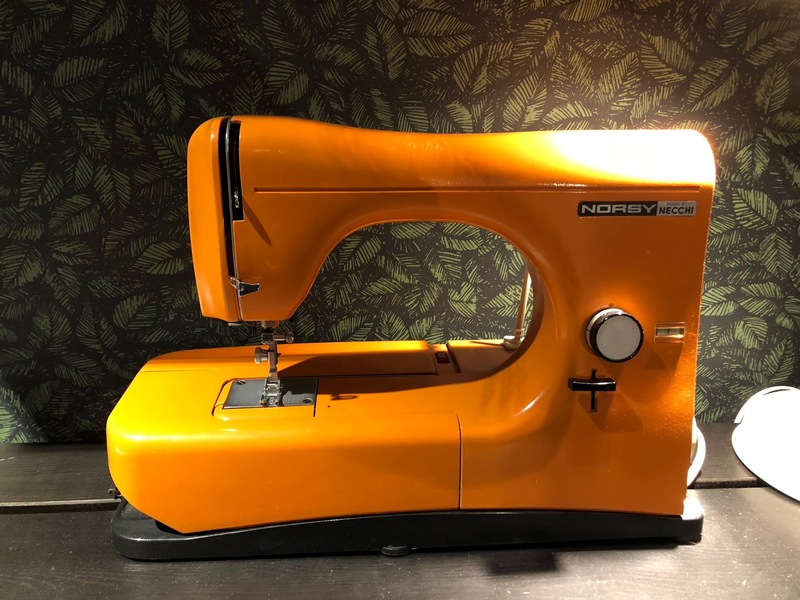 I just had to share this cute sewiwgmachine we saw in a room display at IKEA- I really wanted to bring it home with me!! LOVE the color! Today we got up early to watch the winter Olympics- now well be heading out skiing before I can enter the sewing room and get some sewing done. Hope you all have a great Sunday!